The new padmini Dark Fantasy cooktop w tih Toughened Glass Top with detachable heavy pan support combine good lucks & strength in an International finish body keeping Indian rugged cooking conditions in mind.It has designer knobs fitted on front for quick, safe and easy operation. Extra wide space between the burners facilitate placing even larger utensils properly. Product is Excellent!! Packaging is out of think... it was mind blowing everything they are delivered on before time. Product is excellent. very very awesom product at this price.. Thanks INfibeam for this product... Highly recommended for all. on of my dream comes true. I was plan to buy 4 burner gas stove for my sister and its one of the best gas stove for her. I dont know but i like it very much, Its look very nice and features are also awesome. Great price at here- Infibeam. but it thanks for this and great services. Firstly it is ISO company and second thing is that it has 1 year warranty. No doubt for its performance. So far using only 2 burner gas stove. 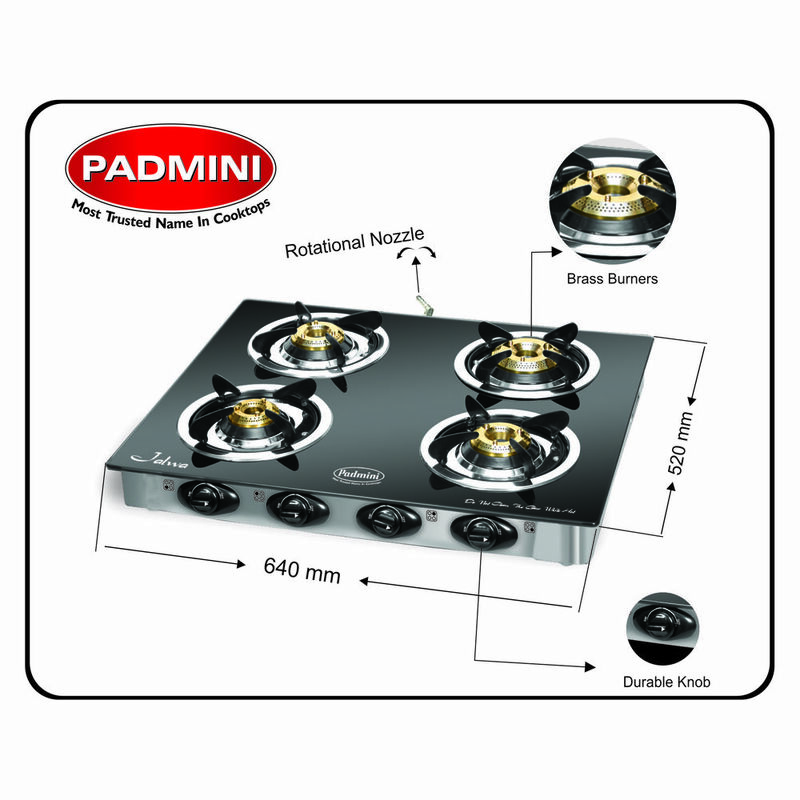 this is the first time i used it padmini 4 burner gas stove and believe it was such great experience to use it. I liked the design most and we know the brand popularity so no questions ion that. good one best choice. nice design. very good deal .package is very good. best product. delivered in time. 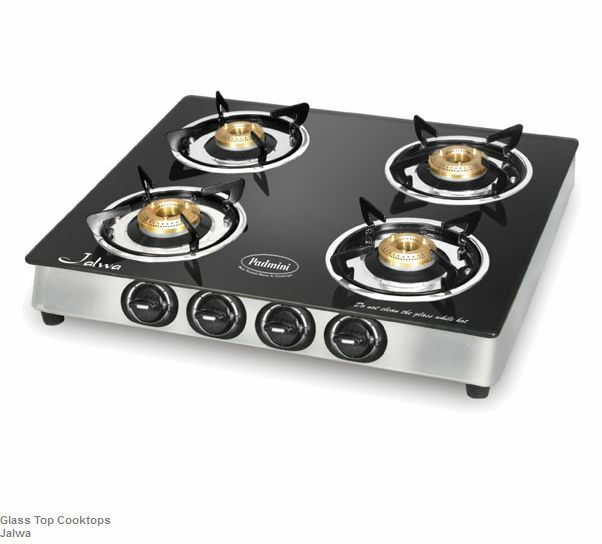 Simply superb 4 burner gas stove. As well as infibeam delivered it blazing fast. Anyone looking for a 4 burner gaa stove, go for it. In a nutshell This product is just not good BUT EXCELLENT ! !, value for money. The Design is aesthetically very Good & Ergonomically best I can think of. The Placement of Burners are apt & convenient to handle all the burners together. Only thing to take care of is the Gas inlet which is located at the Back of the Stove. So, if your Platform is a bit narrow, then you may have a problem. For us even this was very convenient as the Kitchen Platform is sufficiently deep. Glass Top is very good & easy to clean. Delivery was slightly late & also created a bit of tension as Infibeam is yet to establish full credibility based on many reviews I have seen. Infibeam can take through CREDIT CARD against Cash On Delivery which will be reassuring the Customers about their credibility. Overall I recommend this product and the Site Infibeam. Its good, This is the second stove i bought. I have been using it for close to two years and i have no issues with it.